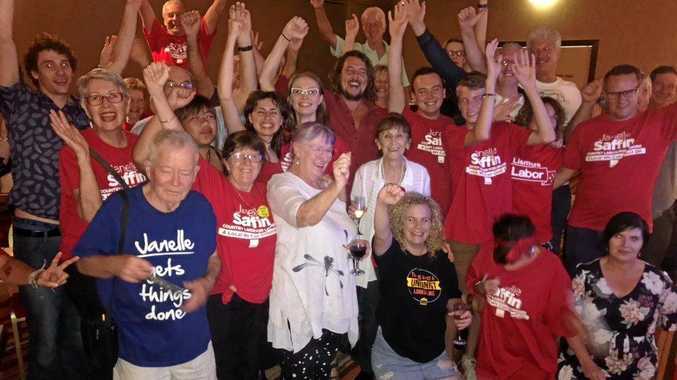 COUNTRY Labor candidate Janelle Saffin is poised to win the seat of Lismore, creating a major upset for the Nationals who've had a 50-year stronghold on the electorate. As voting continues, Ms Saffin, who served in the NSW Legislative Council from 1995 to 2003 and also held the seat of Page for two terms before losing to the Nationals in the 2013, is expected to claim victory in the polls, making her the first female MP to represent Lismore. But despite 76.5 per cent of the votes counted, Ms Saffin said there was still a long way to go before she would admit she had won. "We've still got absentees, iVotes and postal votes to count," Ms Saffin said. "Generally, postal votes tend to favour the incumbent, particularly where there's a Nationals hold. It would be inappropriate to claim anything just yet." While Ms Saffin is ahead in the two candidate preferred vote, holding 53.94 per cent of the count, Nationals candidate Austin Curtin is leading the count in first preference votes, with 40.03 per cent. Mr Curtin said he was expecting a tight race but remained calm as counting continued. "We always knew it was going to be really close, particularly with Labor and the Greens going hard on (preferencing each other)," he said. "We saw what happened in 2015, so we have been expecting this for a couple of years now so that's why we got so well organised and played such a long game. We knew it would be close and I'm really calm. "We've got a really strong brand up here and we're willing to fight for it. It's probably too close to call. I'll just sit tight and wait for the results from the electoral commission. One can only hope the postal goes their way. But those who were in the engine room last night looking at the votes coming in weren't getting excited." The Nationals had a 0.2 per cent hold on the electorate, following retiring Lismore MP Thomas George's narrow win at the 2015 election. The latest count shows a 1.7 per cent swing to Labor at this election. Meanwhile, the Nationals have seen a 3 per cent swing against the party, which follows a double-digit swing against them at 2015 election. Should Ms Saffin win, it will be the first time Labor has held power in Lismore since Keith Compton lost his seat to the Nationals in 1965, when the Askin government was elected. Greens candidate Sue Higginson conceded the election early yesterday, and congratulated Ms Saffin on her expected win. 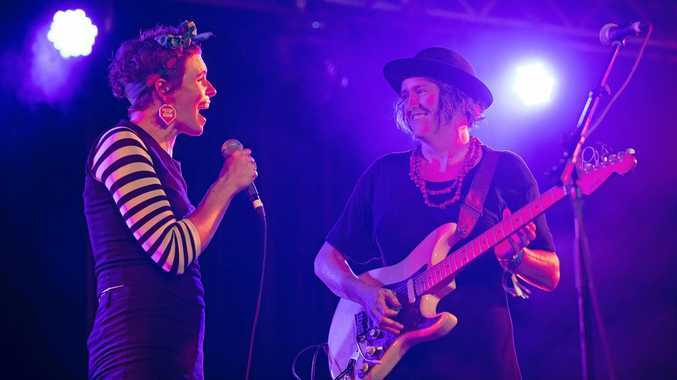 "Thank you so much to everyone who joined the awesome positive campaign to turn Lismore Green and all of the many wonderful folk who cast a vote for us," Ms Higginson said. "We just missed out but it seems almost certain Janelle Saffin is up as the first femaleto represent the Lismore electorate in the NSW Parliament." Music NORTHERN Rivers band won the Busking competition in 2010 and unveiled music from their upcoming fifth album.